Portage Lakes, Ohio draws tourists each year due to the vicinity to Portage Lakes State Park, and it makes a great place for both residents and businesses alike to call home. With a number of people coming to Portage Lakes just for the day, it’s important to make sure that your important assets are protected. Taking advantage of an up-to-date security system in Portage Lakes will help cover all your bases. At ProTech Security, we understand that protecting the things you’ve worked hardest to build is serious business. That’s why when we sell you a security system we don’t just walk away. Our team gets to know your situation and what is most important to you in order to develop a custom solution to keep your assets secure. There’s no “one size fits all” solution with security, so why should you have a system that treats your home or business like one? 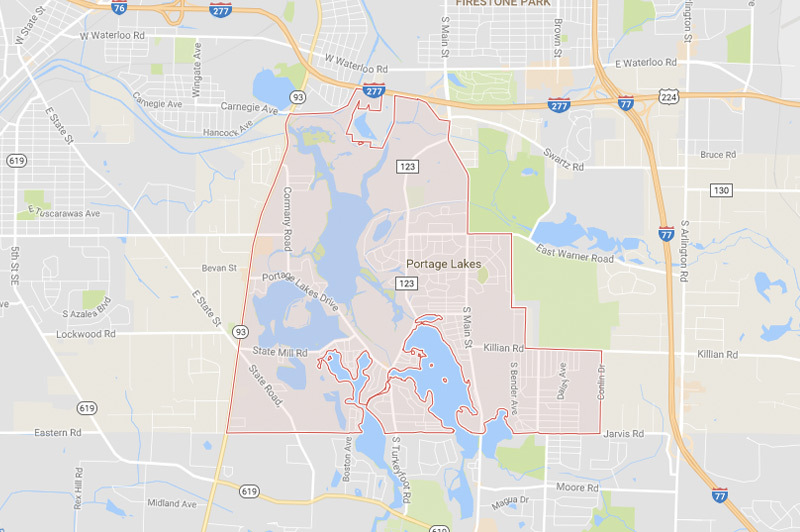 Interested in learning more about your security options in Portage Lakes, Ohio? When it comes to protecting your family and the home you worked hard to build, we can help you find the right security system that gives you confidence and peace of mind. Our residential security systems are created for your unique situation. We’ll give you expert advice on the most recent technology to be sure the products you’re putting in your home are ones that you can count on. Have a business in Portage Lakes that you’d like to protect? We can help. Our commercial security systems are the answer for all your safety needs. You’ve put the work into turning your business into what it is today, so don’t let worrying about your safety get in the way of continuing to move your business forward. With a custom security system from ProTech Security, you’ll be able to take pride in knowing that you’re doing the most to keep your business safe. We also offer custom solutions for educational institutions and government facilities throughout Northeast Ohio. Have a plan in place with our selection of security systems for Portage Lakes built around giving you the best protection possible. From immediate gunshot detection to revamping your visitor management, we’ll help you strengthen the security around your building. The ProTech Security Advantage is more than 35 years of service and a strong commitment to providing quality, cost-effective protection for homes, businesses, educational institutions, and government facilities. That includes a forward-looking philosophy that centers on the latest in IP (Internet Protocol) technology and IT (Information Technology), which is built with dynamic, non-proprietary systems. We’re proud to call Northeast Ohio home. For more information about how we serve our neighbors in Portage Lakes, contact us today.